Prominent & Leading Manufacturer from New Delhi, we offer sulphonated melamine formaldehyde, sodium naphthalene formaldehyde, liquid sodium naphthalene formaldehyde, sodium naphthalene formaldehyde liquid, sodium lignosulphonate and sodium gluconate. SMF Powder is a superplasticizer and high range water reducer for construction and industrial products based on Portland cement and other types of hydraulic cement. SMF Powder is used as an additive in all types of grouts, mortars, coatings and as a component of concrete admixtures and emulsions. Powdered superplasticizer is a spray dried powder with free flowing characteristics ideal for dry blending and water dissolution. we are one of the well-known manufacturers, suppliers and traders of Sulphonated Naphthalene Formaldehyde Condensate. 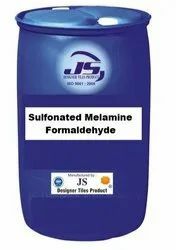 The offered sulphonated naphthalene formaldehyde condensate is widely used for the preparation of free flowing and pump able concrete mixture. 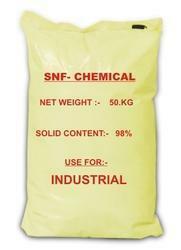 Our supplied sulphonated naphthalene formaldehyde condensate is very useful for the construction sites. The offered condensate is acclaimed for high strength, owing to the reduced water and cement ratio. We provide Sodium Naphthalene Formaldehyde Liquid in bulk quantity and at reasonable rates. It is a superplastisier that is used as a part of concrete admixture. This is a good quality imported product. We provide Sodium Naphthalene Formaldehyde liquid at reasonable rates and in bulk quantity. This is a imported superplastisier that is used of the part of concrete admixture. 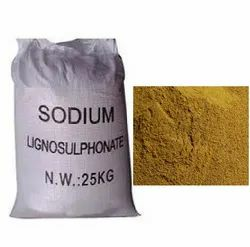 We provide sodium ligno sulphonate in bulk quantity and at reasonable rates. 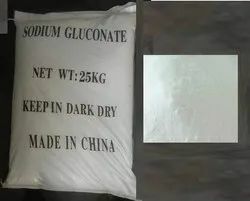 This is a imported material and it is imported from a number of companies like Sudan, South Afraica, Russia and China. Used as part of concrete admixture. Triethanolamine Liquid (TEA) is a imported product that is used as fast setting acclerator for concrete admixture. It is supplied in bulk quantity and at reasonable price. 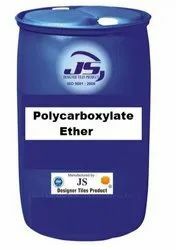 Polycarboxylate Ether Liquid is a imported product that is used as a part of concrete admixture and also used as high water reducer and slump retention superplastisier. Keeping track with the market development, we are engaged in offering our clients with a wide collection of Polycarboxylate Ether Superplasticizer that is widely used to enhance the plasticity or fluidity of the concrete and to increase its strength. The offered chemical is precisely processed by utilizing optimum quality chemical compounds and sophisticated technology in adherence to international quality standards. Our quality controllers stringently test this chemical on various quality parameters to ensure purity and effectiveness. 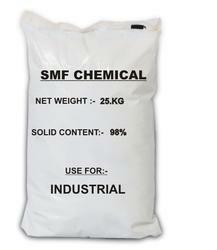 Moreover, we offer this chemical in various packaging options at affordable price. We are supplier and manufacturer of Hydroxy Propyl Methyl Cellulose.